Village Sensation offers you the opportunity to be relieved from the entire maintenance. This is carried out by qualified personnel. 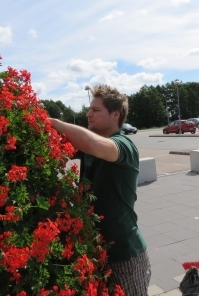 The flower pots or hanging baskets are stripped of their faded flowers 2x during the season (early July and mid-August); they are completely cleaned, fertilized and, if necessary, firmly tied again. 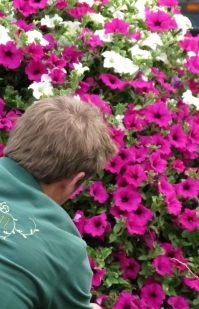 The flower pots or hanging baskets are watered 1 or 2 times per week. And nutrients are administered a few times during the season. Here we provide you with the optimum care. We visit twice per season to strip the plants of their faded flowers; they are completely cleaned and, if necessary, firmly tied again. Furthermore, the flower pots or columns are watered 1 or 2 times a week and fertilizer is administered several times during the season.